Now on air & Cover Art, a feature available for Radio Mobile Apps & Websites is available as an Addon in mobile plans and a built-in component for radio websites. You can purchase this Addon for mobile plans by logging in to your account and clicking Get Addons. So, in which plans is it available? Now on air & Cover art is available for all radio website plans. Feel free to read below for more information regarding its availability on mobile plans. Now on air works by retrieving artist names and song titles through each track's metadata that are sent through streaming. Only if your streaming transmits the required metadata in a proper way will Now on air function correctly. In case your streaming does not transmit metadata you will need to contact your streaming provider. Consequently, your streaming's metadata are matched with the album covers on last.fm so that a proper album cover can be displayed. 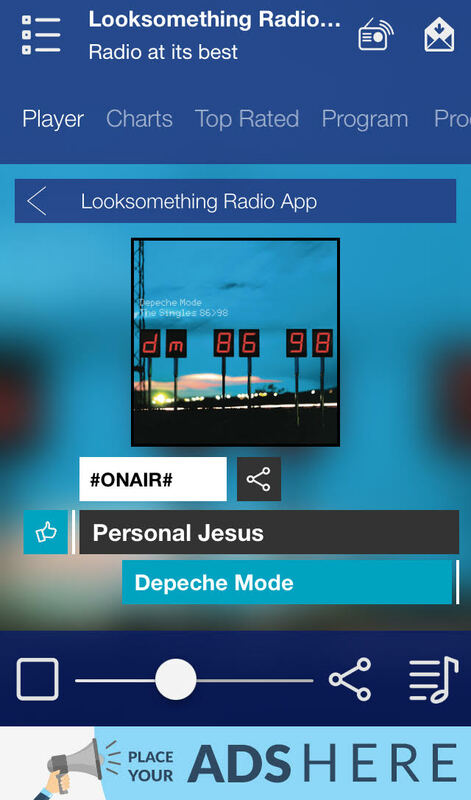 if there is not a match between your streaming metadata and the album cover library of last.fm then the logo of your radio station will be displayed instead. Mind that the size of the cover album images has specifically been defined to cut down kb/s consumption, especially over mobile data. Last but not least, both song title, artist name and album cover will be displayed in the notification bar – lock screen of mobile devices, if supported by the device itself. Can I use my own album covers? In case you own your personal album cover database and provide us with all the required information we can effectively use yours instead of last.fm. You can read more in our relevant article. Our song rating system enables your mobile and website listeners to vote for their favourite or least favourite songs. 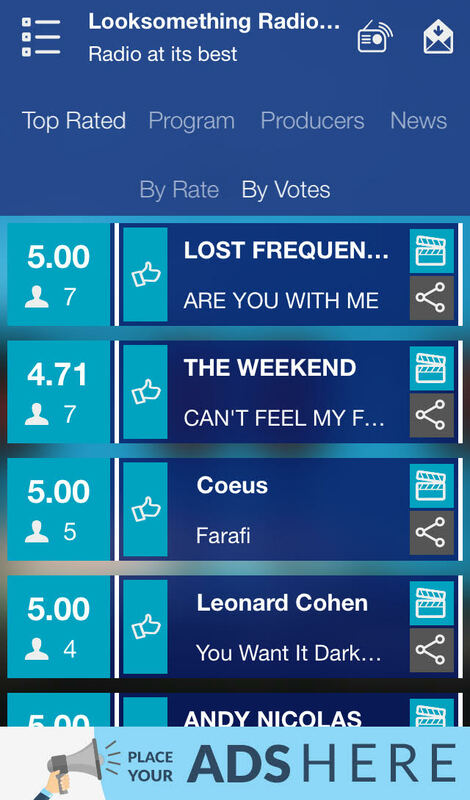 Consequently, the top 50 rated songs will be displayed in two different ways: average rating & number of total votes. However, you can export the whole lists, in .csv by visiting your Admin Control Panel.